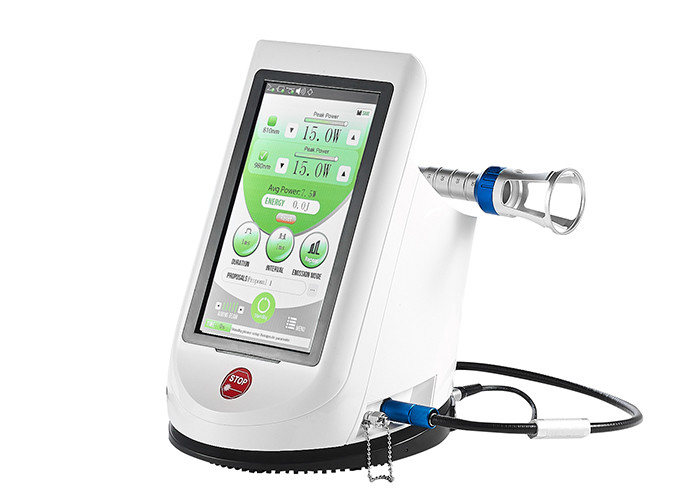 Apparatuses and methods for applying laser energy for therapeutic purposes (e.g., relief of pain and/ or inflammation in tissues) are disclosed. The synchronization of two spatially overlapping energy forms having closely positioned emission axes and particular emission modalities can in many cases provide strengthened or even synergistic effects in the alleviation or treatment of multiple of acute and/or chronic conditions (e.g., pain and inflammation) afflicting a given tissue. The laser energy forms are characterized in terms of their power levels, activation times, activation periods, pulse durations, pulse periods, wavelengths, and other identified characteristics.